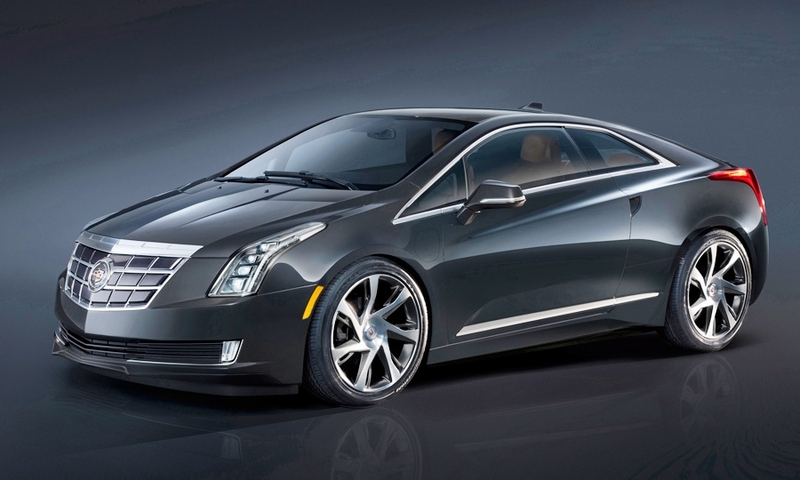 DETROIT -- Cadillac today unveiled the ELR sports coupe, a plug-in hybrid wrapped in a bold, flashy package that belies its green-car bona fides. 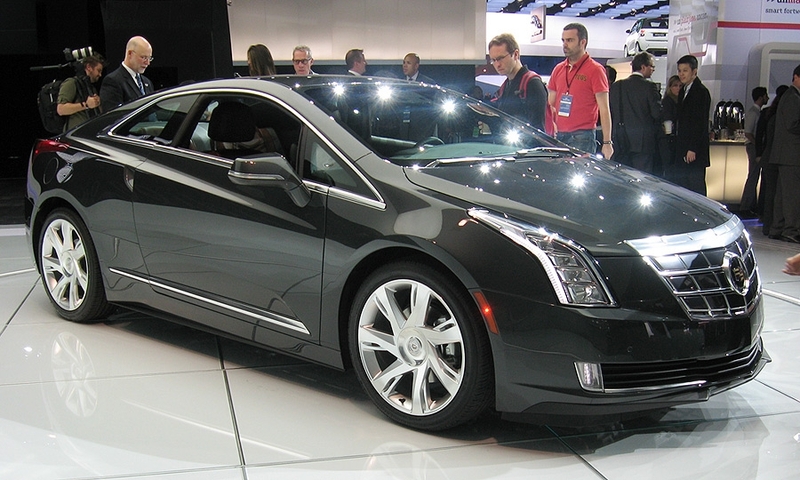 The ELR is the second application of General Motors' Voltec technology, the powertrain that debuted in the Chevrolet Volt in late 2010. 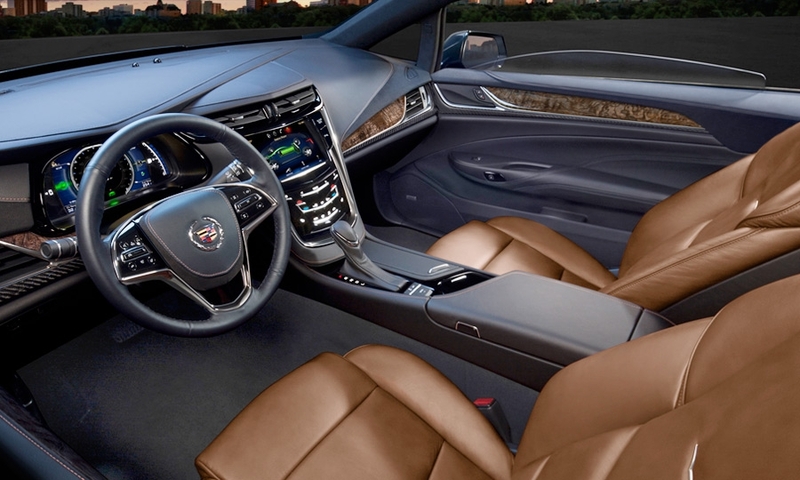 But the luxury ELR's angular lines and extra touches – such as a power-assisted cupholder compartment and suede headliner -- show that Cadillac is targeting a different customer than its corporate cousin. 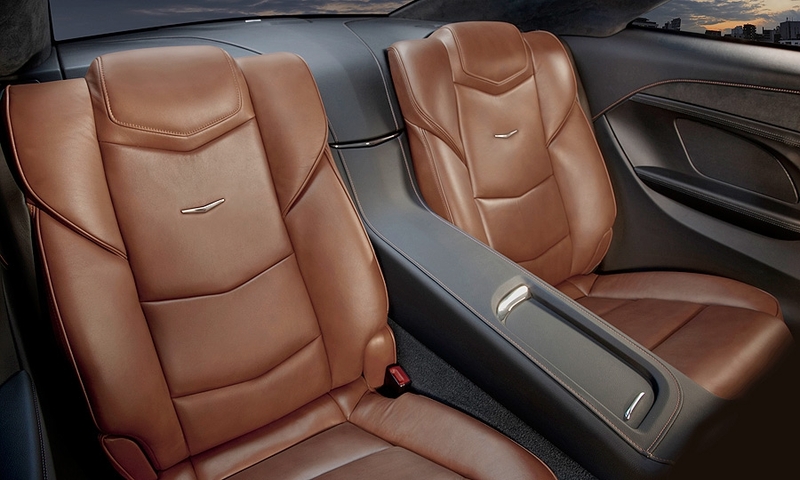 "There is no other vehicle like this," said Mark Adams, Cadillac's design director. "There's nothing that combines guilt-free motoring in such an expressive package." 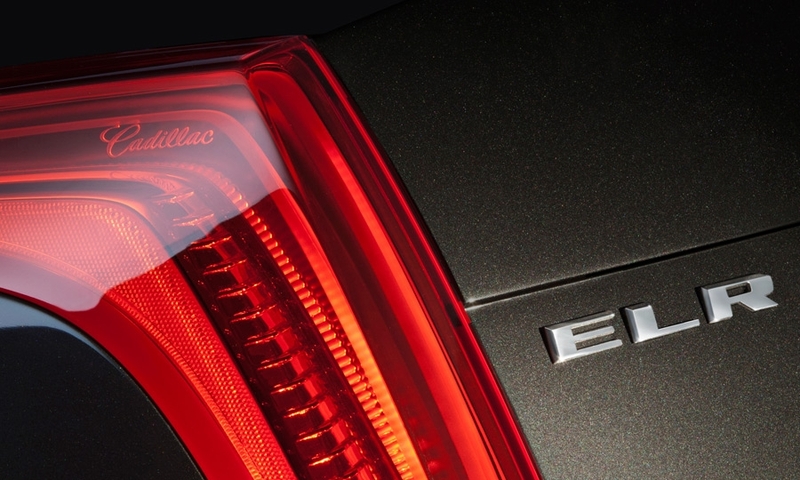 Cadillac says it's the first mainstream luxury brand to introduce a plug-in hybrid with an extended range. The car will travel about 35 miles on battery power -- shy of the Volt's 38-mile range -- before a 1.4-liter gasoline-powered generator kicks on to power the electric motor, giving the car an overall range of more than 300 miles. The front-wheel-drive, four-seat coupe will qualify for California's coveted carpool-lane sticker, which is considered crucial for its prospects in the nation's largest green-car market. 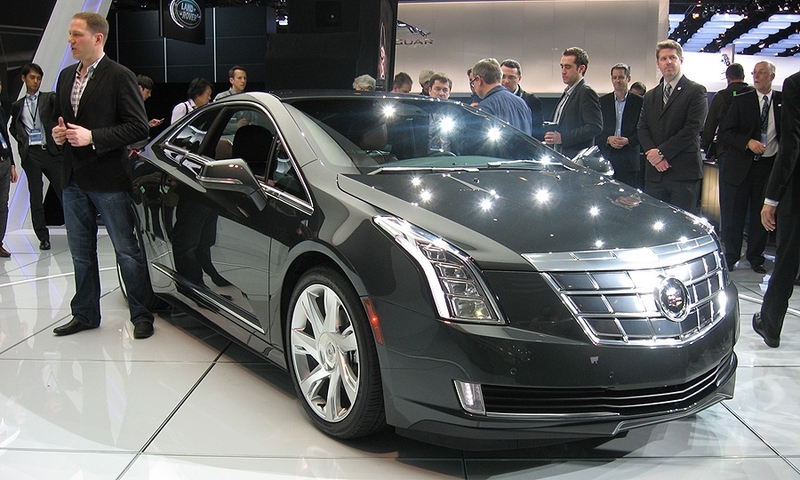 GM says ELR production will begin at its Detroit-Hamtramck assembly plant late this year, with cars arriving in showrooms sometime in the first quarter of 2014. 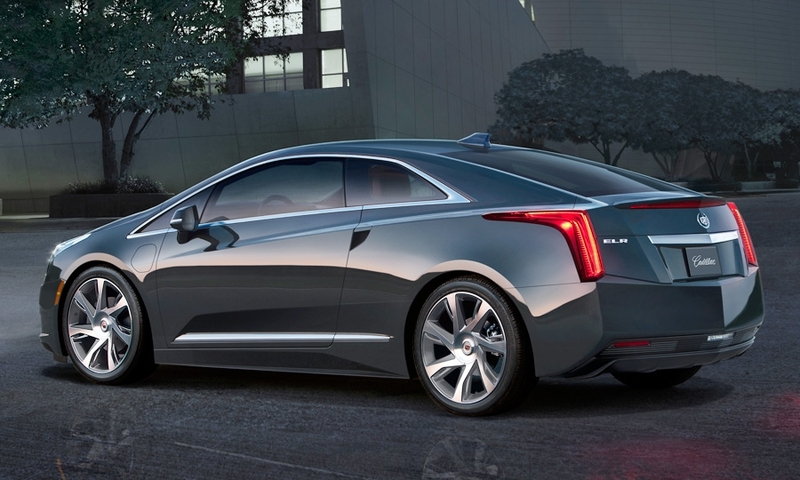 IHS Automotive, a market-research company, expects Cadillac to sell about 2,500 ELRs in the United States in 2014. AutoPacific is more bullish with a 6,600-unit forecast. 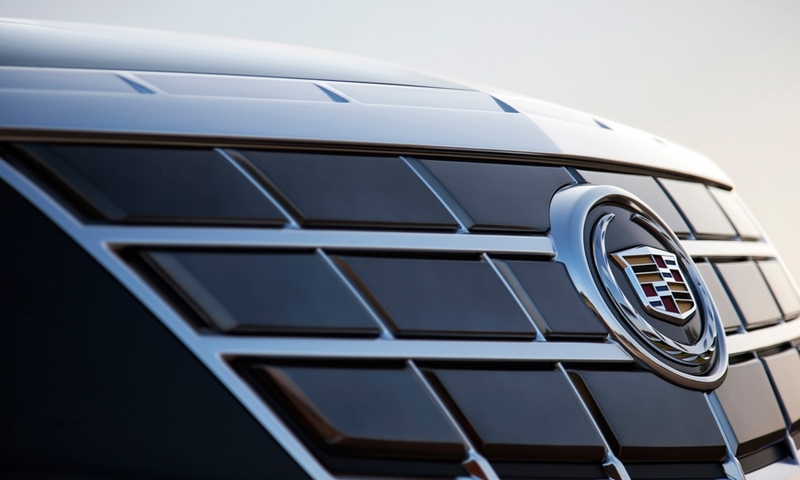 While GM acknowledges that the ELR will be sold in relatively small volumes, executives say the car is an important step in extending the perception of the Cadillac brand, much as the V-series performance line has done in recent years. 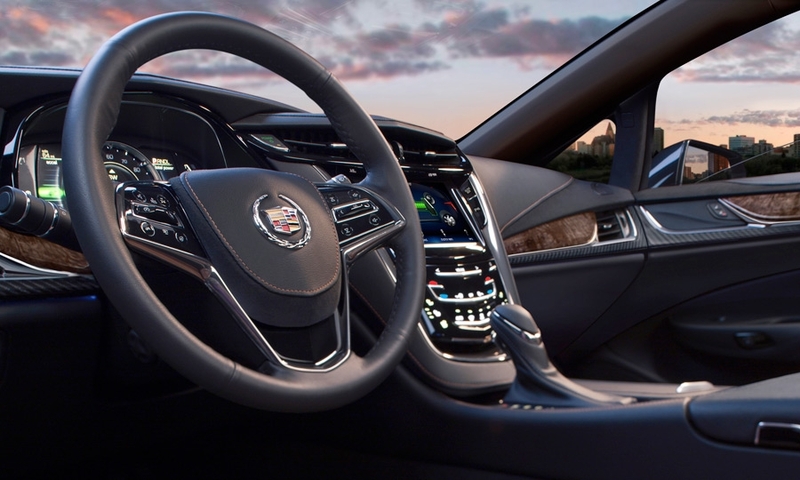 "The ELR marks a pivot point for Cadillac," Bob Ferguson, Cadillac's global vice president, told Automotive News last week. "It's provocative. It's technologically advanced. And it's something that no other luxury player has right now." GM developed the ELR in a speedy 18 months, Chris Thomason, the chief engineer, said. That's partly because GM used the well-received Converj concept car shown at the 2009 Detroit auto show for the ELR's design. 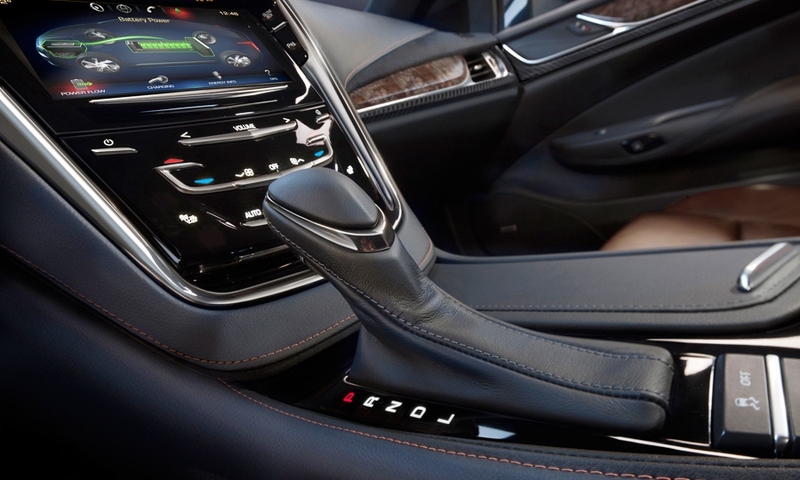 Thomason said that from the outset Ed Welburn, GM's global design chief, and John Calabrese, the company's top engineer, were committed to hewing closely to the Converj's sporty styling. Often, a flashy concept car gets watered down in production as engineers confront the physics of putting it together. "They said, 'Here's the deal: We want you to take and recreate the show car. We want the Converj in production. 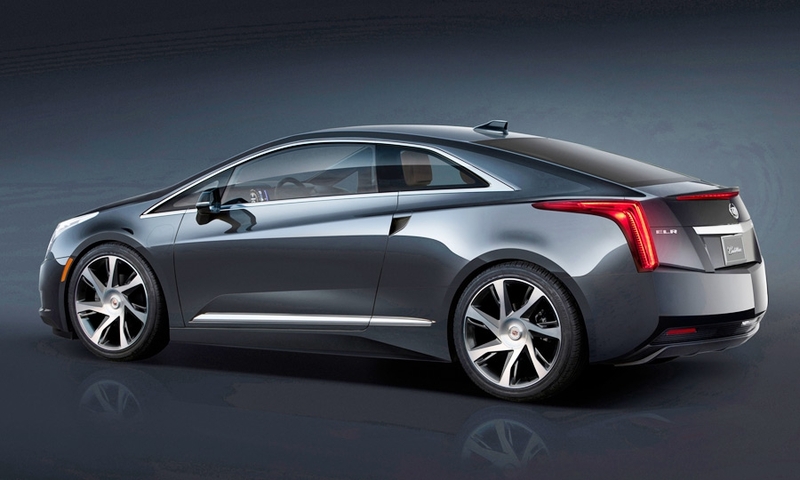 We want this ELR to embody every millimeter, every nuance," Thomason said last week. He said more than 90 percent of the Converj design made it into the ELR. 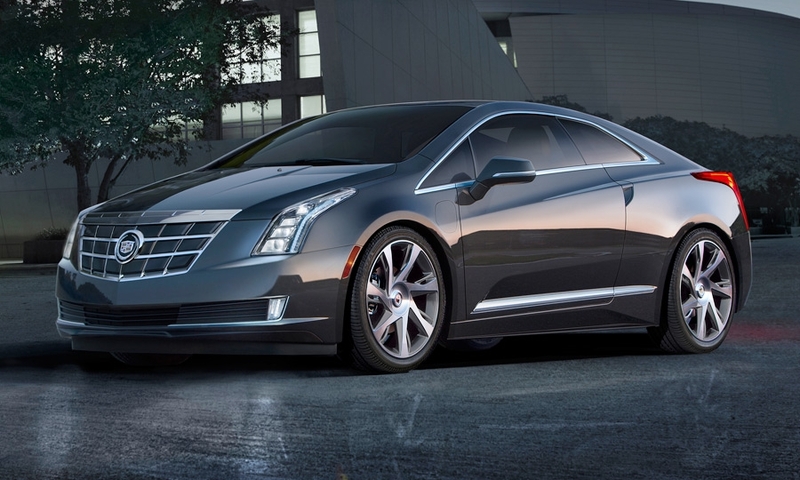 The ELR is 2 inches wider than the Volt and sports 20-inch wheels, which accentuate its planted look. 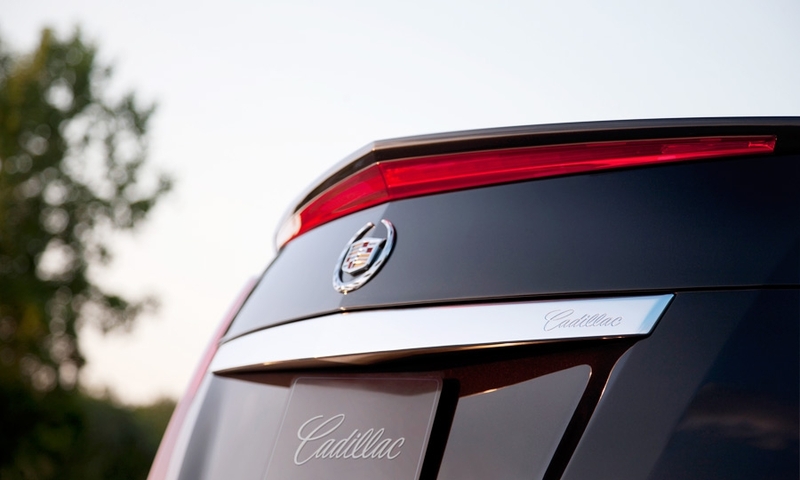 Vertical, blade-like headlamps and taillamps exhibit Cadillac's decade-old art and science theme, while offering a nod to the brand's tailfin era of the 1950s. 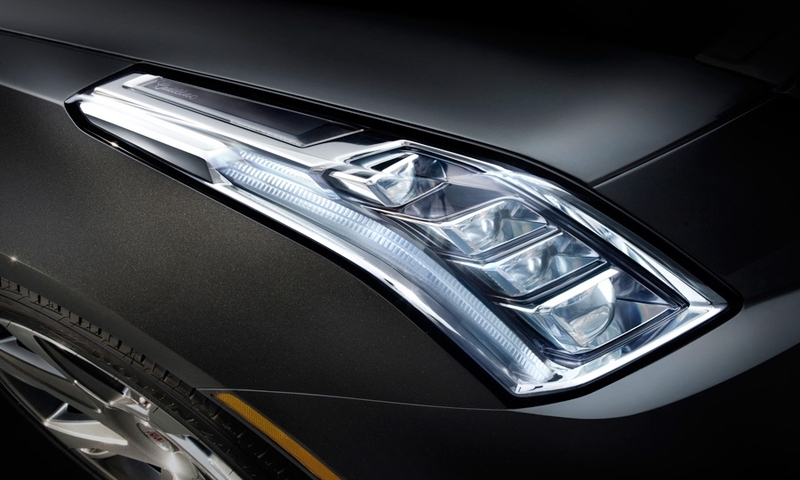 Design cues such as a flush front fascia and grille and sharp edges in the rear help the ELR's aerodynamics. Its coefficient of drag is 0.31 — not quite as slippery as the Volt's 0.28. The powertrain is nearly identical to that of the Volt. The ELR will produce 295 pounds-feet of torque; that's about 12 percent more than the Cadillac SRX crossover gets from its 3.6 liter V-6. 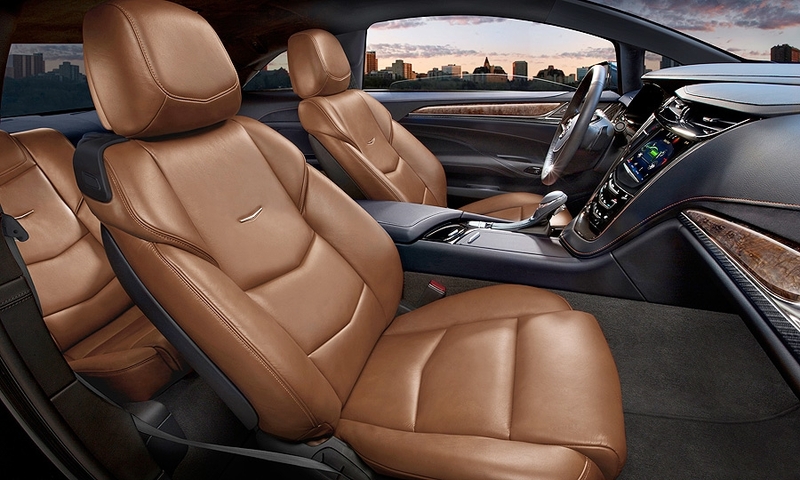 GM added continuous damping control to improve the ride on rough surfaces. The car is not yet EPA-rated for fuel economy. Inside, the driver can select a "hold" mode that controls the use of the electric generator, allowing the owner to save the battery charge for city travel, rather than using it up on the highway. 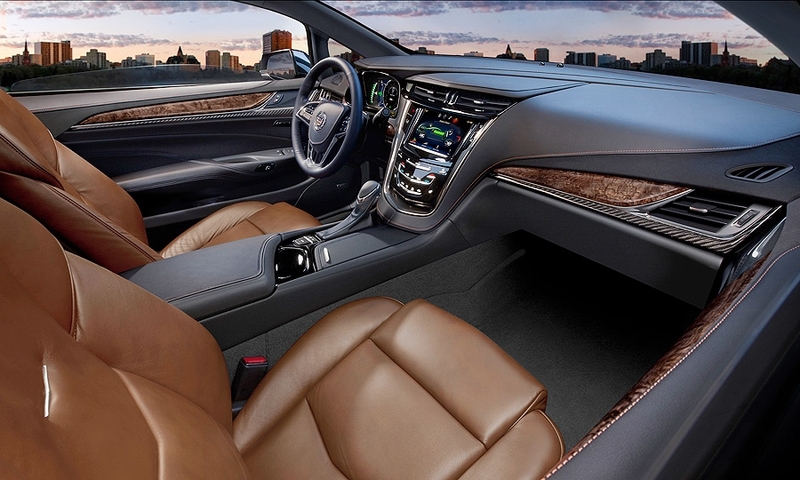 The cabin is plush with soft-touch materials, real wood accents and available carbon-fiber trim. The steering wheel is wrapped in leather and suede. The console storage and cupholder area is accessed via an "auto glide" electronic cover. 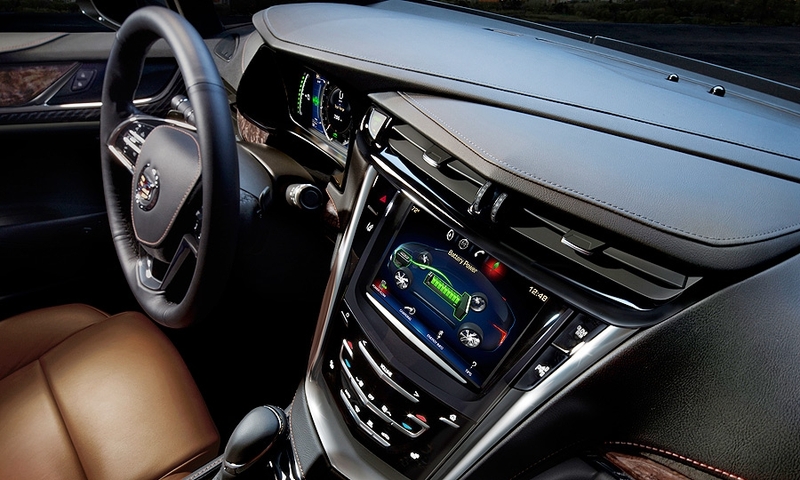 Cadillac's CUE infotainment offering, launched last year, comes standard.